Washington advanced one spot to No. 4 in the new College Football Playoff rankings, clearing a path to the national semifinals if the Huskies defeat Colorado Friday night. Washington’s path to the College Football Playoffs cleared considerably Tuesday when the ranking committee slotted the Huskies at No. 4, up one spot over last week. With a win over No. 8 Colorado in the Pac-12 championship game Friday night in Santa Clara, CA., UW will likely lock down a spot in the national semifinals, probably against defending champion Alabama. The top four teams in the CPF rankings will play in the Peach and Fiesta bowls Dec. 31 with the winners meeting Jan. 9 in Tampa for the national championship. The Huskies (11-1 overall, 8-1 Pac-12) advanced this week because of their decisive 45-17 win over former No. 23 Washington State in the Apple Cup, coupled with No. 3 Michigan’s double-overtime loss at Ohio State. The Wolverines fell to No. 5 and their regular season is complete. But they aren’t dead yet. 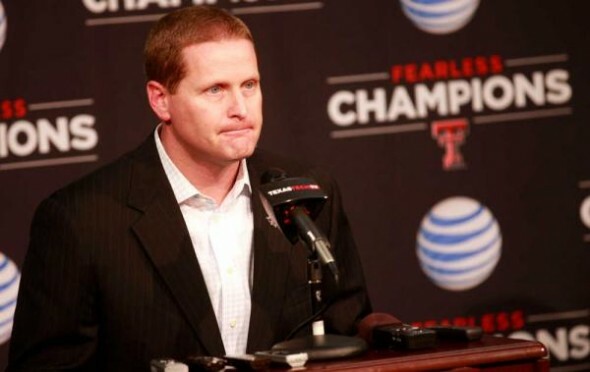 Kirby Hocutt, athletics director at Texas Tech University and chairman of the selection committee, emphasized after Tuesday’s rankings were released that there is virtually no separation between Washington and Michigan. “The committee’s goal is to rank the four best teams in the country and we base that on conference championships, head-to-head results, records against common opponents, and a team’s entire résumé,” said Hocutt. Translation: The Huskies not only need a win over new No. 8 Colorado Friday, they need to look good doing it, in order to stave off the Wolverines, who have played a substantially more difficult schedule in a tougher conference, evidenced by the fact that four of the top seven teams in the new CFP rankings are from the Big Ten. Washington caught one other break Tuesday in moving into the No. 4 slot. The committee ranked Utah, which lost at Colorado Saturday, at No. 20, giving the Huskies one more quality win than it figured to get. Both the Associated Press and coaches polls, now meaningless beauty contests, dropped the Utes out of their rankings Sunday. Alabama remained No. 1 in the CFP rankings following a decisive win over Auburn in the Iron Bowl. The Crimson Tide are followed by No. 2 Ohio State and No. 3 Clemson. The Buckeyes have completed their regular season, but the Tigers still have a date with Virginia Tech this weekend in the Atlantic Coast Conference championship. USC, which obliterated Notre Dame in its final regular season game to finish 9-3, came in at No. 11. Stanford is 18th and Utah 20th, up two slots from No. 22 even after losing at Colorado. That slightly pads Washington’s résumé. Alabama (12-0) is a lock for the playoffs, even if it loses its finale to Florida. In that event, the Crimson Tide would probably receive the No. 2 seed. After surviving Michigan in double OT, Ohio State (11-1) has the best collection of wins in the nation. Assuming an Alabama win, Ohio State is likely to get the No. 2 seed even if Clemson (11-1) and Washington win conference championships. A win by Clemson in the ACC title game against Virginia Tech, fully expected, would put the Tigers in the playoffs, probably as the No. 3 seed (a loss would help the Huskies). That leaves the final spot up to the committee, and Washington is a tentative No. 4, as Hocutt intimated, due to its early-season non-conference slate against Rutgers, Idaho and Portland State. Now, it’s not so much up to the committee as it is the Huskies — with caveats. If they defeat defeat Colorado for the Pac-12 title and move to 12-1, there is still a chance — but a dimming one — they could get jumped in the final poll Dec. 4 by Michigan or the Big Ten champion, either Penn State or Wisconsin (they meet Saturday), if they don’t look like a solid No. 4 seed doing it. Consider: The Big Ten champ will finish 11-2, and both the Nittany Lions and Badgers would be able to make cases for inclusion in the Final Four even though the committee has already determined Washington is better. Although Penn State lost badly at Michigan earlier this season, the Nittany Lions won head-to-head against No. 2 Ohio State, a lock for the Final Four, and No. 6 Wisconsin. PSU had a convincing victory over Michigan State to wrap up the Big Ten East. Penn State also went 7-2 against teams with a .500 or better record and played a tougher schedule than the Huskies. Both Penn State and Washington would be conference champs and, while UW would have one more win and one fewer loss, Penn State would have more Top-10 wins against a far tougher slate of opponents. But the Nittany Lions, it appears, need a decisive win over Wisconsin and an ugly UW win over the Buffaloes to jump the Huskies. Michigan didn’t win a conference title and its season is complete, ending last week with a 30-27 double-OT loss at No. 2 Ohio State. But Michigan defeated the two teams, Penn State and Wisconsin, that will play for the Big Ten title. The Wolverines also beat Pac-12 South champ Colorado. Based on the committee’s judgments throughout the ranking process, it’s difficult to imagine the Huskies, even with their weak non-conference schedule, getting leapfrogged Dec. 4 if they win Friday. But a few style points wouldn’t hurt. Even though the Huskies could end up facing Alabama, the 30th best NFL team, I don’t care. First, would not surprise me if they won over the Tide. Second, being 8 years removed from a winless season I’m thrilled at being in the conversation of a possible National Championship. I’ll take what I can get.